I am very excited for this! Mark your calendar and register early. 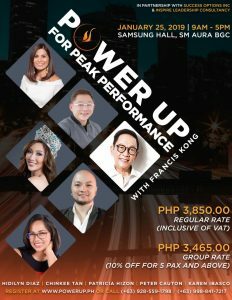 A learning event that would spark and ignite you to power up and achieve peak performance for the new year. Learn from the best of the best.